Since the fall of 2010 (dissertation proposal: 2011; dissertation: 2014), I have been engaged in research intended to highlight and situate the work of online commercial content moderation (CCM) within the context of the production chain of digital media and the digital media landscape, in general. CCM employees work in a variety of settings and within a variety of workplace organizations throughout the globe, monitoring and vetting user-generated content (UGC) for social media platforms of all types, in order to ensure that that content complies with legal and regulatory exigencies, site/community guidelines, user agreements, and that it falls within norms of taste and acceptability for that site and its cultural context. In the early days of online community (on BBSes, MOOs/MUDs, AoL [Postigo 2003] etc. ), this work often fell to volunteer community members, who were responsible for the self-policing of content and for the maintaining of that community’s collective identity and ambiance. This model is in effect still, on high-profile sites such as Wikipedia, which rely on volunteer labor to vet content, flag material deemed inappropriate, and so on. Article: What is Content Moderation? What is Commercial Content Moderation? 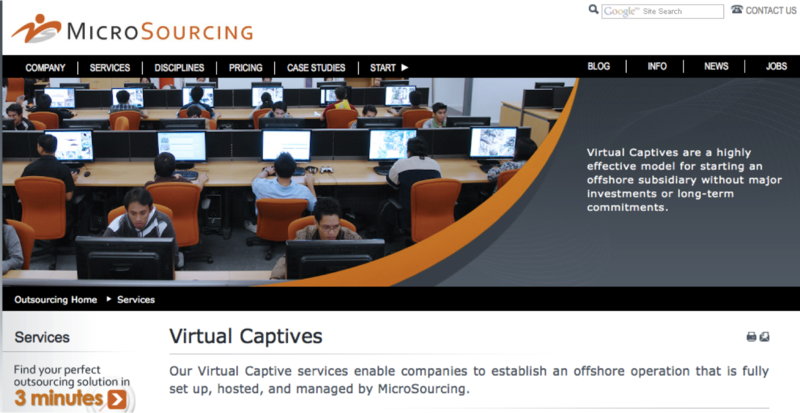 MicroSourcing, a company from the Philippines, advertises the availability of “virtual captives” who can be engaged to provide content moderation and other services. Yet, for the vast commercial platforms and properties that now comprise the Internet social media experience, the volunteer model, or that model alone, is not viable given the high stakes – legally, and from a public relations perspective – of a fiasco involving unsuitable content making it to or being left to be viewed on a site. For this reason, the work of content screeners and moderators is critically important in the chain of digital media production. Yet this work is often performed by workers at third-party companies, in call center-like environments, or, increasingly, by globally distributed workers engaged with online micro-work sites, who distribute the work as small tasks, a practice of “digital piecework.” Also increasingly, this work is taking hold around the globe in places far removed from the destination audiences of the sites’ content, such as in the Philippines, which recently surpassed India as the world capital of call centers despite being a fraction of the latter’s size. In my dissertation, Behind the Screen: The Hidden Digital Labor of Commercial Content Moderators (2014), I conducted extensive interviews with several commercial content moderation (CCM) workers and managers in different contexts and sites in order to document their work-life experiences, attitudes and concerns, locating their work both theoretically and practically. The practices were then further mapped in the context of contemporary trends of globalization, outsourcing and other economic geospatial reconfigurations, themselves facilitated by the networked digital information world and predicated on new labor arrangements that transcend traditional barriers of space and time. With this research as its basis, I have developed and expanded this work into a forthcoming monograph entitled Behind the Screen: Content Moderation in the Shadows of Social Media, (Yale University Press, 2019). The research engages with topics of information access, economics and ethics in social media, connects commercial content moderation on theoretical grounds to other scholarly work on digital and other kinds of labor, and sites it in the greater context of the ecology of social media to the end of recognizing, acknowledging and improving the conditions under which the workers toil. The goal of this research is to elucidate an important part of the digital information production chain that is almost always unseen and rarely acknowledged, and responds to collective notions of participatory media that may underestimate the costs – financial and human – to use said media. Outcomes from this research have the potential to shape regulatory and access policy for workers and social media platforms, as well as provide theoretical contributions expanding current understandings of digital labor in the contemporary information society. Please do not hesitate to contact me if you’d like more information about this research or if you would like to discuss your own experiences with CCM. Thank you for your interest.